The Amazon Freedom Sale will be open till 11:59 pm on August 12, 2018, Amazon India said. Amazon India on Thursday launched a limited-period sale to offer special deals and discounts on a variety of products. Called "Amazon Freedom Sale", the four-day event will enable users to avail up to 80 per cent discount in select categories, the e-commerce major said in a statement. The Amazon Freedom Sale will be open till 11:59 pm on August 12, 2018, Amazon India said. Amazon India has also announced an additional cashback of 10 per cent for customers making purchases using State Bank of India (SBI) debit and credit cards. 1. Amazon India has announced over 20,000 deals across categories such as smartphones, large appliances, groceries and TVs. 2. Products from brands including Samsung, OnePlus, Huawei, Honor, Marks & Spencer, Levis, LG, Bajaj, Philips, JBL and Sony have been listed, according to the Amazon India website. 3. 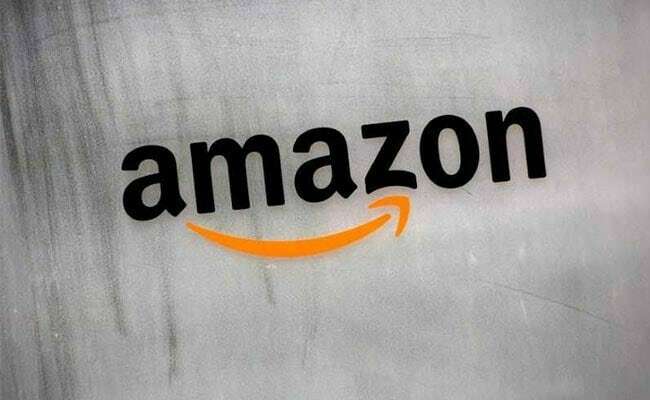 Amazon India is offering up to 40 per cent off on mobile phones and accessories, up to 50 per cent on consumer electronics and up to 80 per cent on fashion products, according to the e-commerce company. 4. The company is also offering the option of EMI schemes on debit cards of select banks. “With new launches, great deals, extra cashback, no cost EMI and convenient exchange options, customers can look forward to a grand celebration on Amazon.in.” said Manish Tiwary, vice president-category management, Amazon India. During the sale period, users shopping on Amazon India through the e-commerce company's website - www.amazon.in - or mobile app using an SBI debit or credit card will be able to avail a "10 per cent instant discount" under certain conditions. The offer is applicable on a minimum order amount of Rs 3,000 and subject to a maximum discount of Rs 1,500 per card (irrespective of number of orders placed), according to the Amazon India website. SBI RuPay debit are excluded from this offer, the company mentioned. "The maximum cumulative Instant Discount for Amazon.in customers is INR 1,500 across all transactions conducted on Amazon.in during the Offer Period," Amazon India noted.